Echo glasses could soon be on their way. Amazon is reportedly working on a pair of spectacles that carry its digital assistant, so you can have a Alexa with you wherever you go. The spectacles will apparently work using bone conduction technology, which transfers sound to your inner ear using vibration on the points of contact between the device and your skull. The benefit of bone conduction is that it doesn’t require blocking or covering your ears so still allows you to have unimpeded hearing of your surroundings. Interestingly, the glasses are reported to not have any visual element like a screen or camera. As Alexa is primarily a vocal interface, it’s not a massive surprise, but it does mean that the Alexa glasses will lack the full functionality that augmented reality glasses promise. 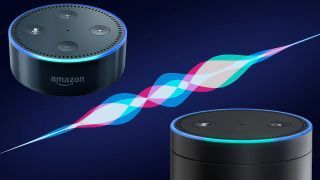 Given that there were a number of Echo models that came out before the Echo Show with its visual element, there is the possibility that Amazon will follow the same model with the glasses, building on the success of a simpler model first. The glasses will reportedly not be an entirely standalone device, but will work by tethering to a smartphone. All of these streamlining features should mean that the glasses have very long battery life. At the moment, the Alexa Glasses are unconfirmed by Amazon, we only know about this due to a Financial Times report. Lending credence to the rumors is the fact that Google Glass founder Babak Parviz was hired by Amazon in 2014, so it was surely only a matter of time before we saw something you could wear on your face from them. The spectacles are apparently going to be available by the end of the year, and if they do, we imagine they are going to be gracing many people’s Christmas lists.